Most people go camping for 3 days on average while a smaller percentage hit the campgrounds for a week or greater at a time. Do you know that u need not have to sacrifice your comfort in order to enjoy the great outdoors? Here is some essential camping advice to make you feel like a champion camper. Aside from camping food, shelter is the number one priority you need to know well when you are outside enjoying nature. Shelter is your safe haven and it is where you seek refuge during inclement weather. Ensuring that your shelter provides top-notch comfort needs more than just a large tent. It is important to avoid widow makers like dead trees that can fall at anytime to injure you or someone you love. Check a potential campground for debris and tree branches and avoid it like the plague. 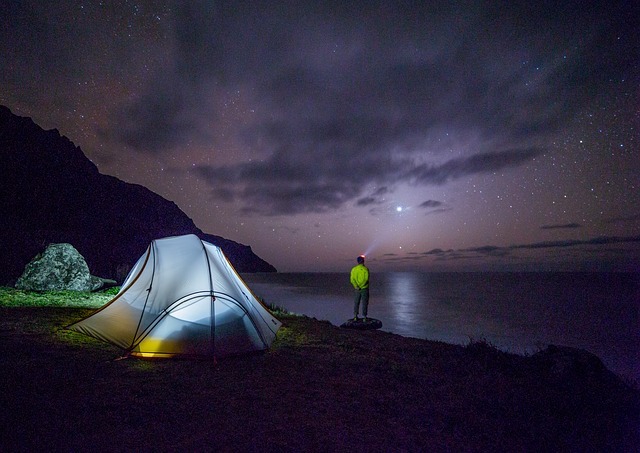 If you just walked-in meaning you did not have a reservation for a campground, it is essential that you survey the landscape as nosy or loud campers can easily ruin your weekend. Many campsites have picnic tables and fire pits so make use of these amenities while you cook your camping meals outdoors. Campsites with a bit of tree cover albeit healthy ones are good especially in the event of some light rain. It is imperative that you select the correct tent size for your needs. Bigger does not always mean better. Remember, the larger the tent, the more effort it needs to set up and pull down. Smaller tents offer superior flexibility in terms of location in campsites. Do consider wind direction as well as placing your tent downwind could result in a smoky night’s sleep. Less gear inside the tent means more room to stretch your legs. Hammocks are an ideal shelter for solo campers. They are versatile easy to setup and pull down and are available for a wide range of environmental conditions and temperatures. They also minimize your footprint if the campsite is small.